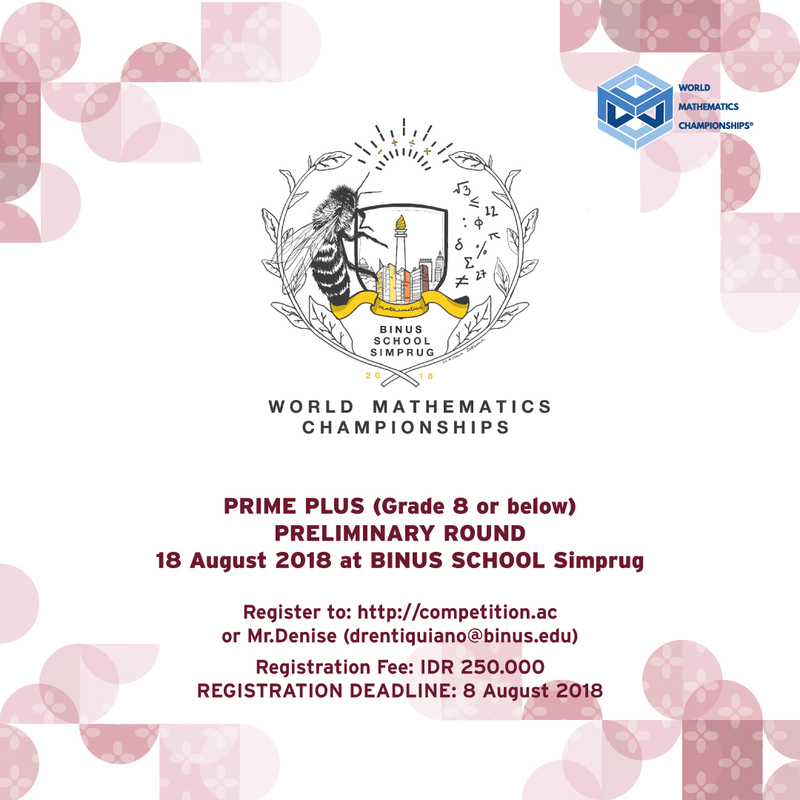 The World Mathematics Championship on 18 August 2018 at BINUS SCHOOL Simprug ! 1. 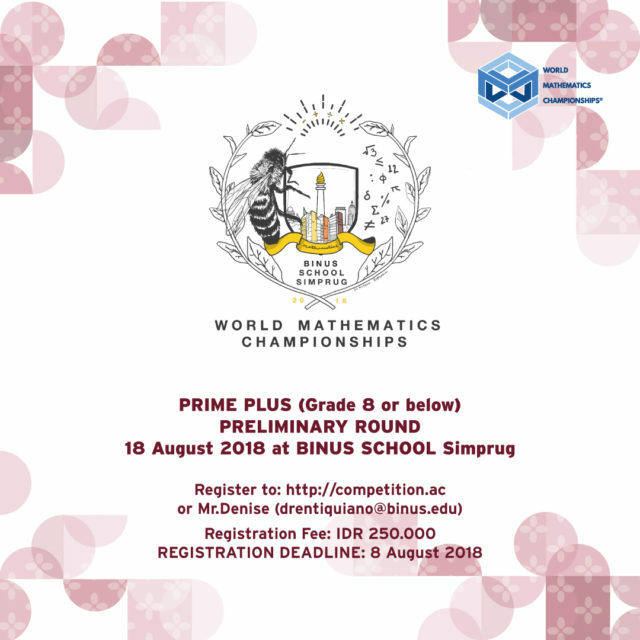 Go to http://competitions.ac, click on the “more info” link within the “International Prime Plus Preliminary” and follow the instructions. Participants are registered only when the full fees have been received and acknowledged.